Plans to restrict water use in vineyards across California’s Sonoma and Mendocino counties could cost the local economy up to US$2bn a year, according to a new report. The report, commissioned by Williams Selyem winery, said up to 8,000 jobs could be lost as a result of the move by California’s State Water Resources Control Board (SWRCB), which wants to restrict wineries’ use of Russian River water for frost protection. Written by Robert Eyler, professor and chair of economics at Sonoma State University, the report assesses the ‘significant’ loss of business income, state and local taxes, and land values, as well as the impact on tourism. Frost damage would cut production, it says, resulting in fewer employees and lower wages across the distribution chain of the local wine industry. GUERNEVILLE — This summer won’t be as bad as last when a combination of drought, low flow and elevated bacteria levels had boaters and bathers wondering why the Russian River seemed a little less inviting. “This year is nothing like last year,” National Marine Fisheries Service biologist Dr. William Hearn said last week at a Sonoma County Water Agency low-flow workshop in Guerneville. “Last year was like nothing we’ve ever seen,” said Hearn, owing to unprecedented low water storage levels in Lake Mendocino behind Coyote Dam. Lake Mendocino and Lake Sonoma are in much better shape this year after a wet winter, but the Sonoma County Water Agency (SCWA) still has to reduce releases from Warm Springs Dam and Coyote Dam to comply with a National Marine Fisheries Service (NMFS) biological opinion that says high summertime flows in the River may be one reason why native salmon and steelhead are in danger of becoming extinct. 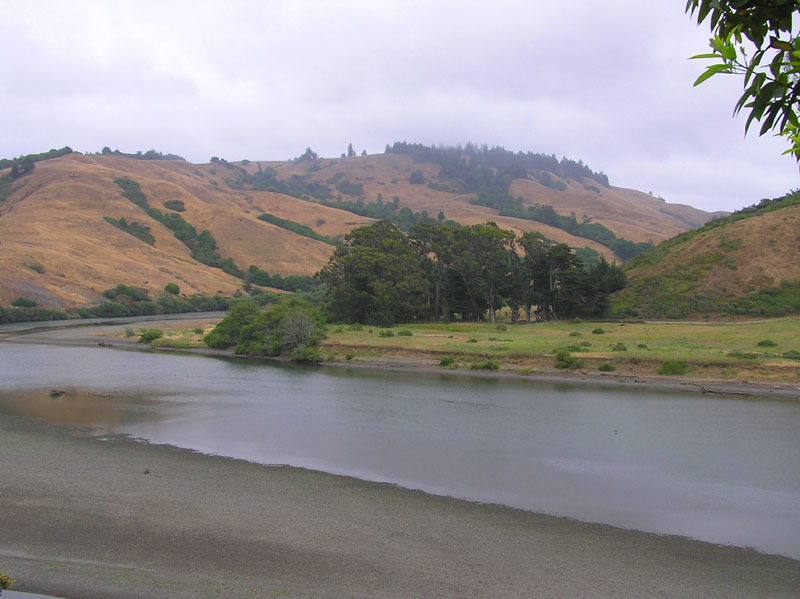 After a year of low flows in the Russian River that last summer scraped canoe bottoms and tested the patience of paddlers, the winter and spring rains will leave the river with plenty of water this summer. “The river is more beautiful than I have seen in a couple of years,” said Lollie Mercer, owner of River’s Edge Kayak and Canoe Trips in Healdsburg.